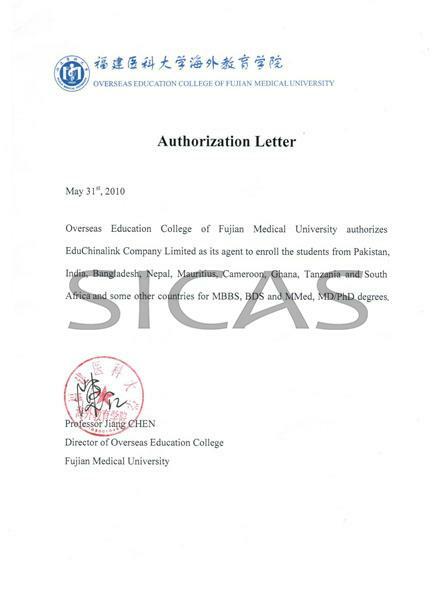 Fujian Medical University (FMU) is recognized by WHO and the graduates of MBBS program are eligible to take the Medical Licensing Examinations held by the medical councils in different countries such as MCI, PMDC, USMLE, HPCSA, SCHS etc. Anatomy, Genetics, Embryology, Physiology, Biochemistry, Pathology, Pharmacology, Immunology, Forensic Medicine, Microbiology & Parasitology, Community Medicine, Internal Medicine, General Surgery, Obstetrics & Gynaecology, Paediatrics, Radiology, Dentistry, Ear, Nose & Throat, Ophthalmology, Orthopaedics, Psychiatry, Dermatology, Emergency Medicine, Anaesthesiology etc. 3. Language requirements: Applicants for majors taught in English must possess with a relatively higher level of proficiency in English. 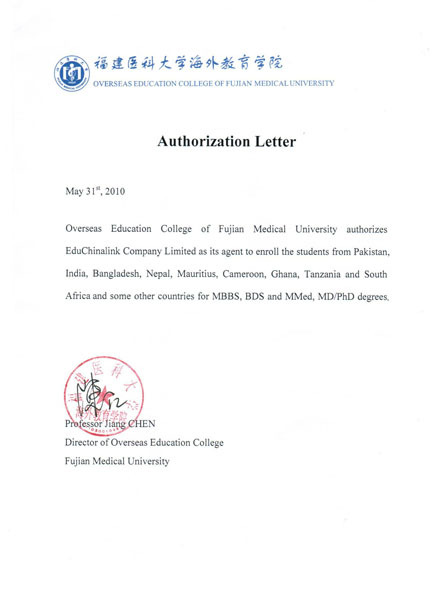 Certificates for English learning throughout the primary and high schools or certificate for English proficiency test shall be produced for non-English native speakers. Documents in languages other than Chinese or English must be attached with notarized translations in Chinese or English. Documents proof of personal finance or sponsored by family, government and financial warrantor. 6. Physical Examination Record for Foreigner. 7. Other Attachments: No-criminal record certificate, English proficiency certificate, HSK report, study plan, etc.